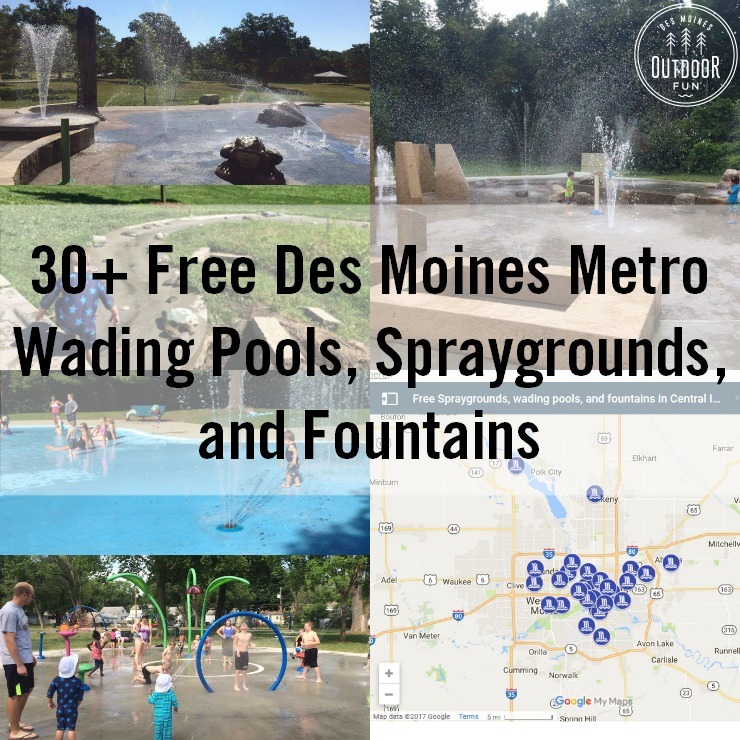 My kids love playing in water, whether it is at a sprayground (here is a list of all the free wading pools and spraygrounds! 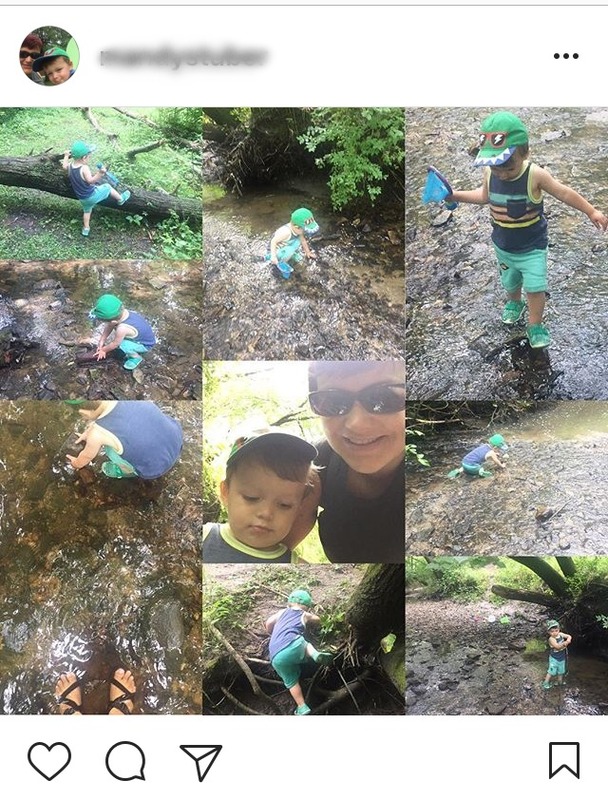 ), lake, or creek. 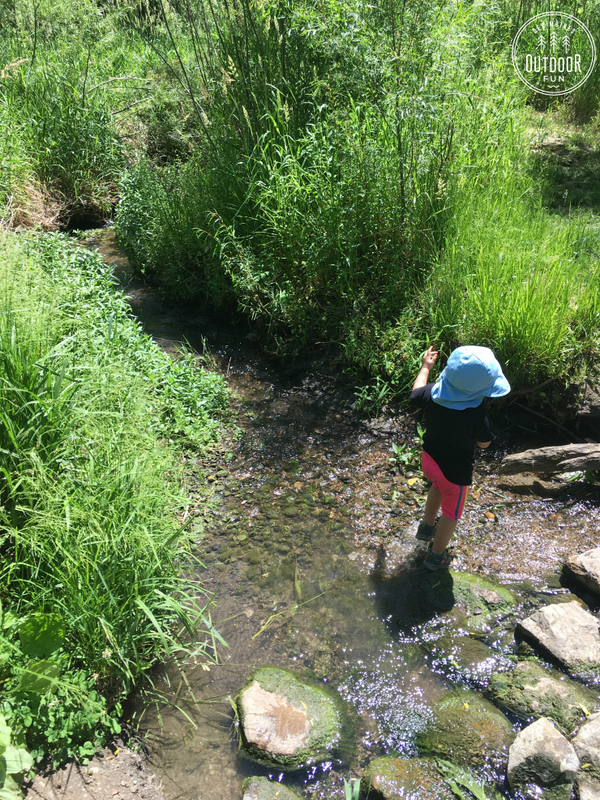 I have the most fun when we take “creek walks” or go “creek splashing” because it is rarely deep enough to be worrisome and we are almost always the only ones there. 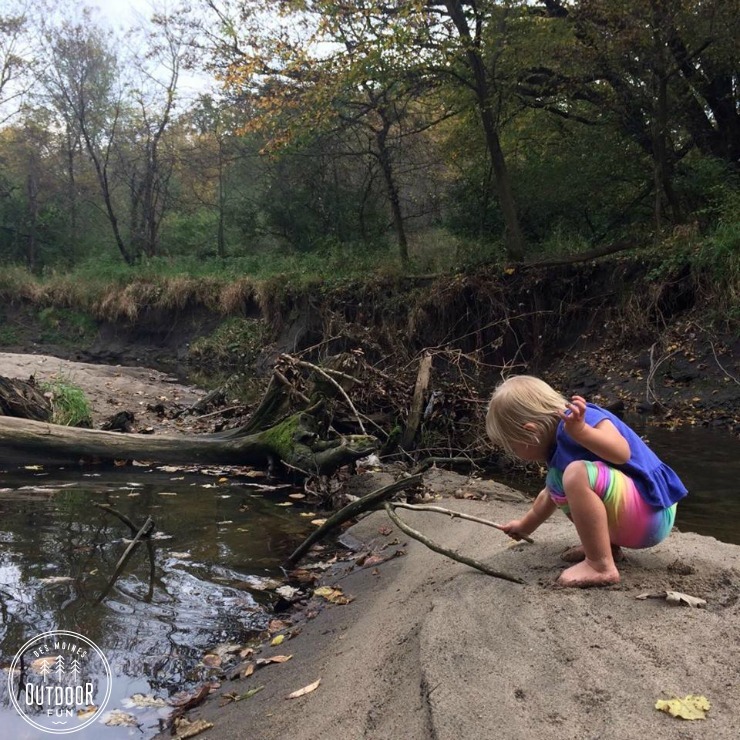 Throwing rocks, hunting for crayfish, and digging in the sand keeps them busy for as long as I can stand it! 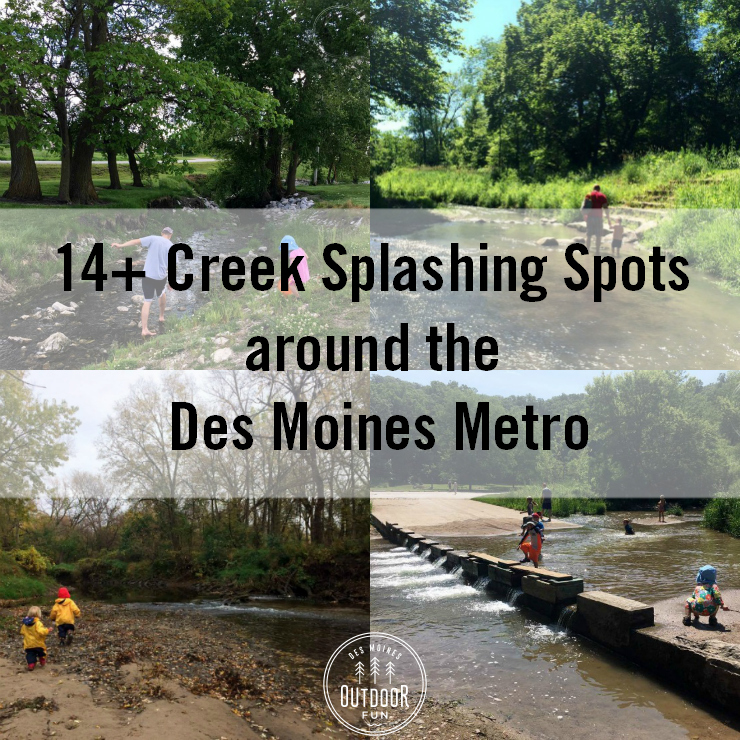 Check out all the good creek splashing spots we have found around Des Moines, Iowa; there is a map at the bottom! Let me know if I missed any of your favorites, I will keep it updated. 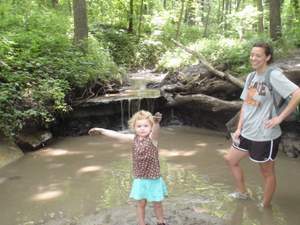 Also check out the artificial “creek” at McHenry Park. Please keep in mind before you head out that water levels can change depending on the temperature and rainfall. 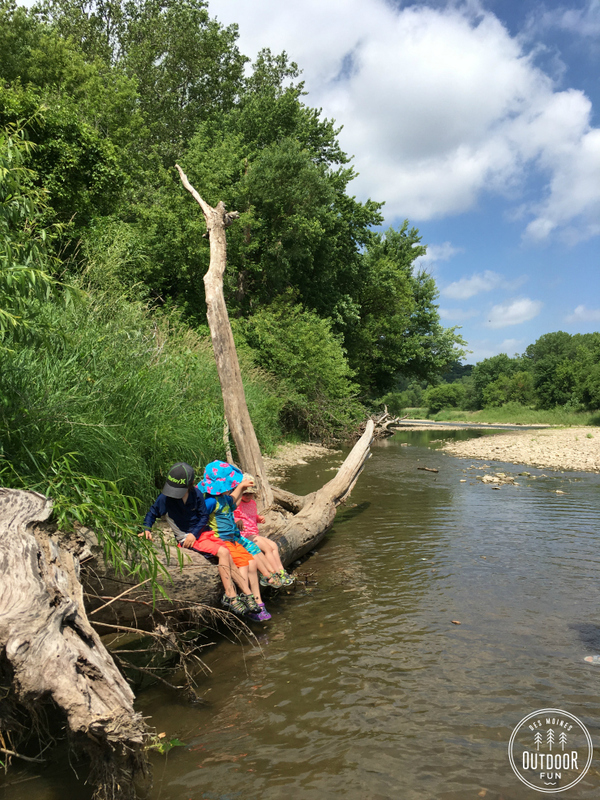 I’ve had people ask me in the past about water quality/safety concerns, and I know the Iowa DNR tracks bacteria levels in the lakes, but I personally don’t worry about it. Head south from the parking lot, there are probably multiple entry points but the one pictured is maybe 2 minutes from the lot. 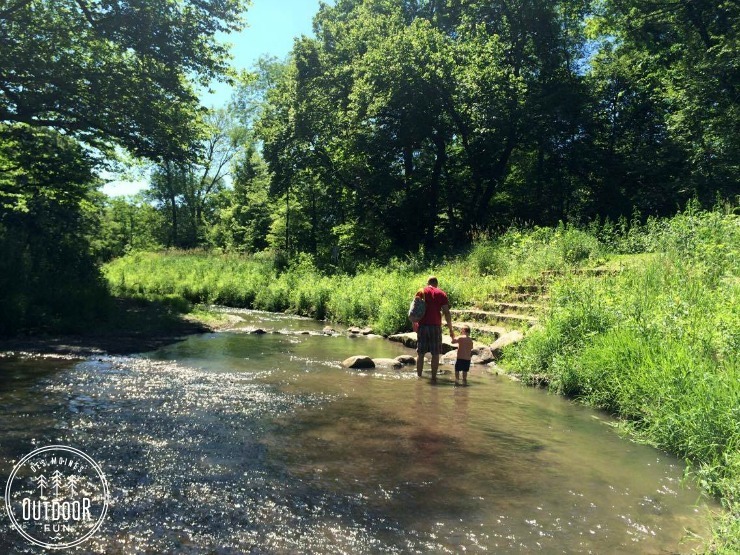 We haven’t personally played here, but met two families creek walking there while we walked the trail. 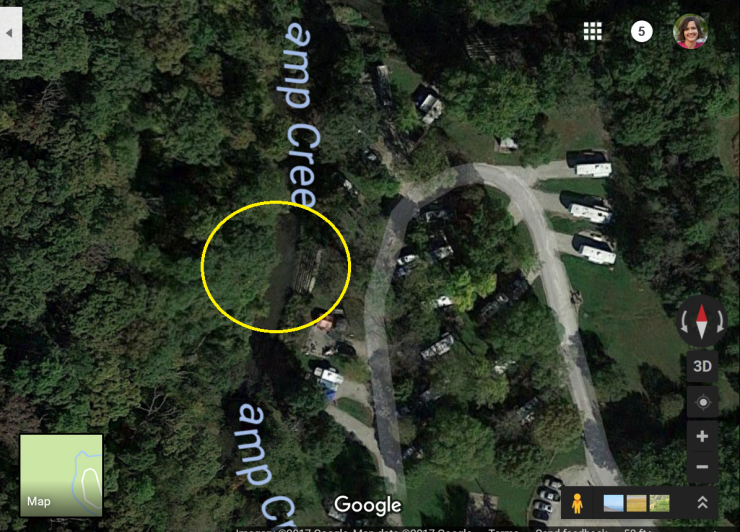 Paved trail nearby; parking below, it is a very short walk from the lot to the creek. 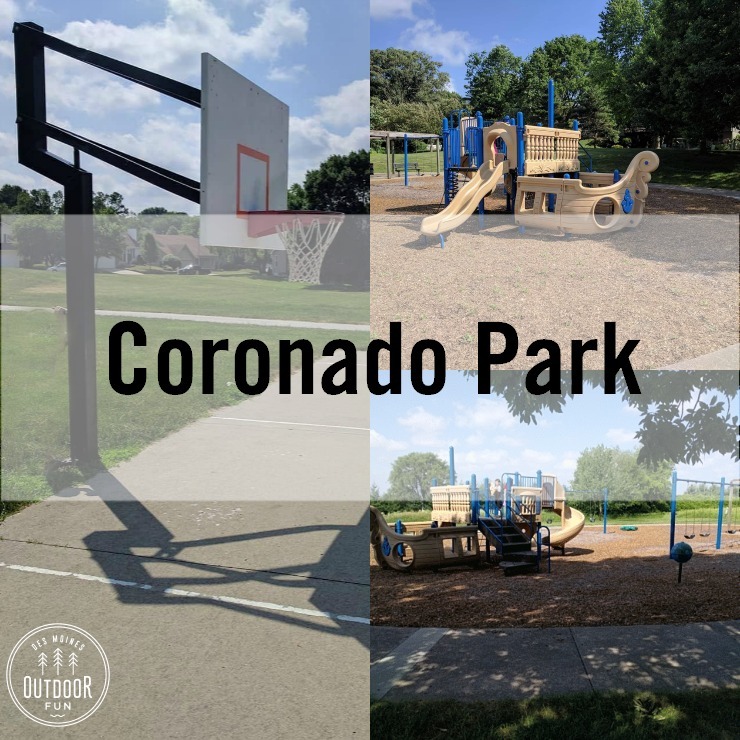 If you drive all the way to the back and park by the playground, it is roughly 1/4 of a mile walk from the parking lot to the spot we went down, there are probably other access points as well. 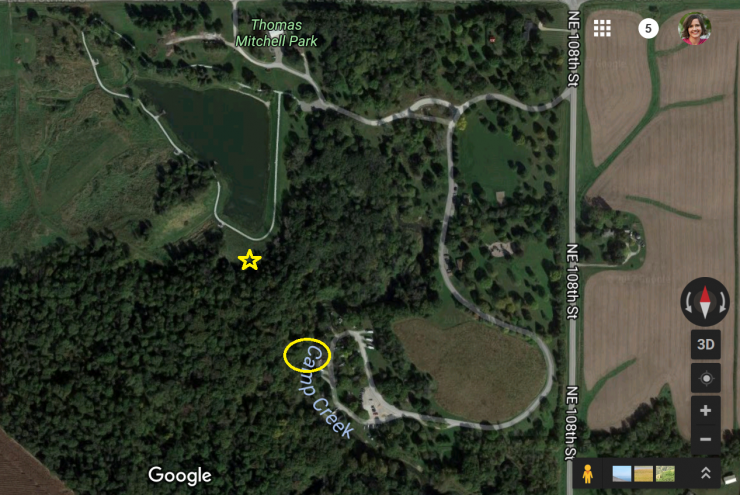 This spot is visible from the paved trail, with an easy walk down. You’ll pass a pretty waterfall along the path when you walk. 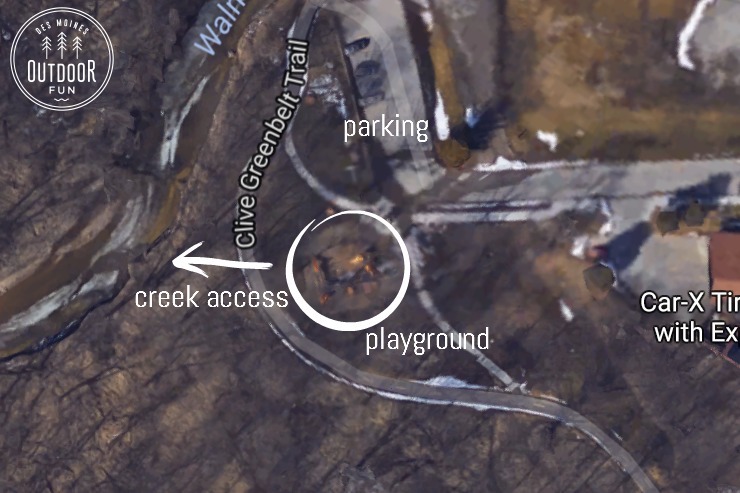 A slightly steeper walk down to the creek, access is right behind the playground and almost visible from the parking lot. Paved trail nearby. 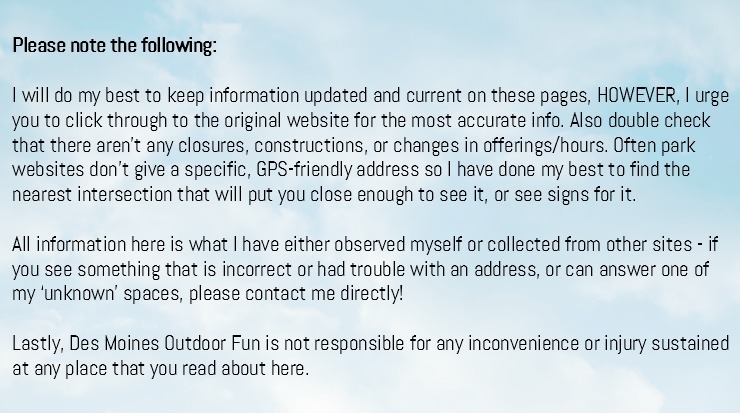 We haven’t tried this spot yet, but someone recommended it and said they park by the sand volleyball courts and then walk about 1/4 mile east on the Clive Greenbelt trail until you cross a bridge and then proceed down. 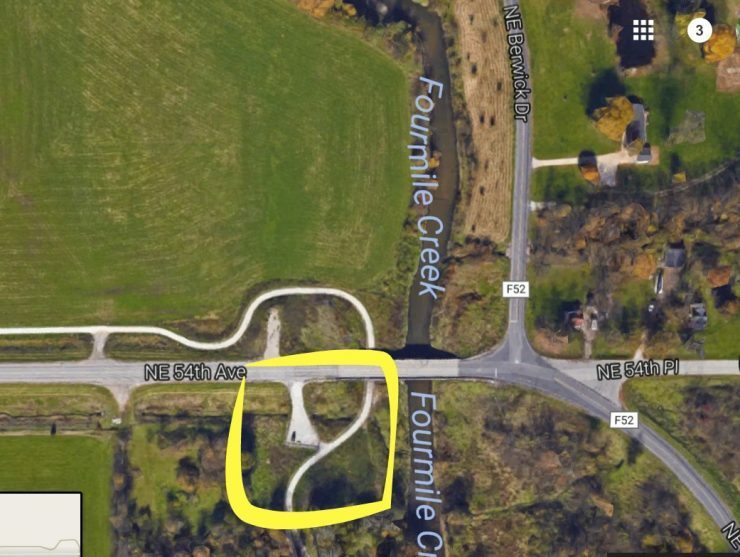 We haven’t tried this spot yet, but someone recommended it and said they park in the school parking lot and walk the path down to the stream (visible on the map). 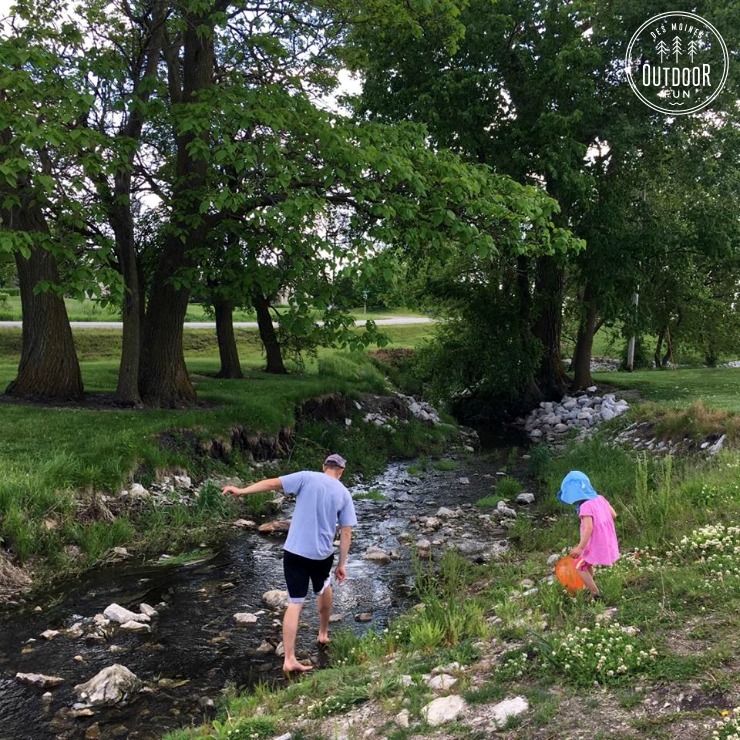 We have not jumped in the creek here, but they hold creek walks here! 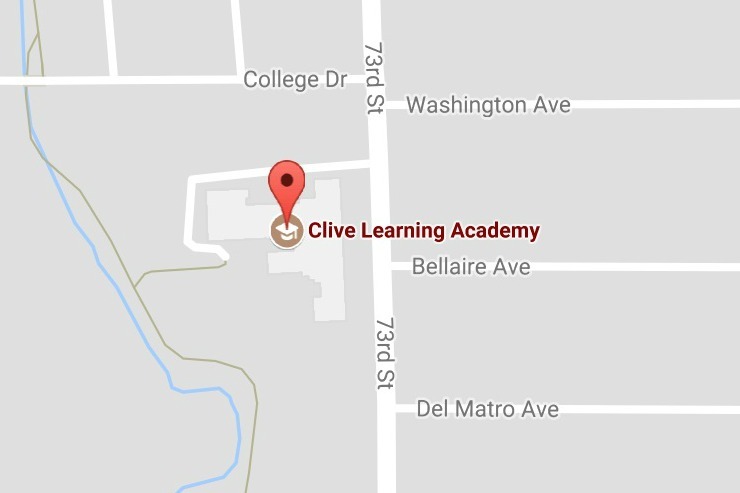 Map below, you can see parking not far across the street. 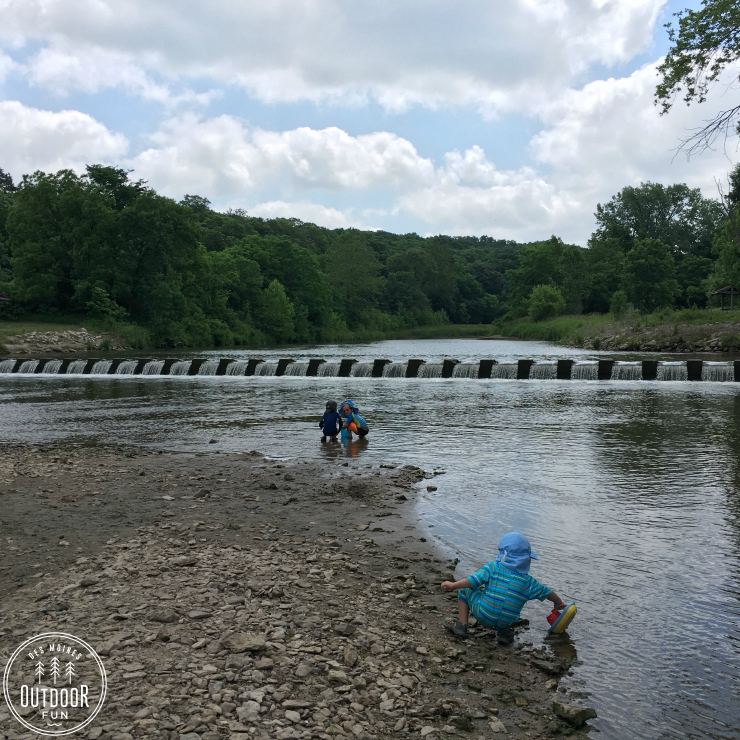 There are multiple spots for creek access, we went underneath the bridge. 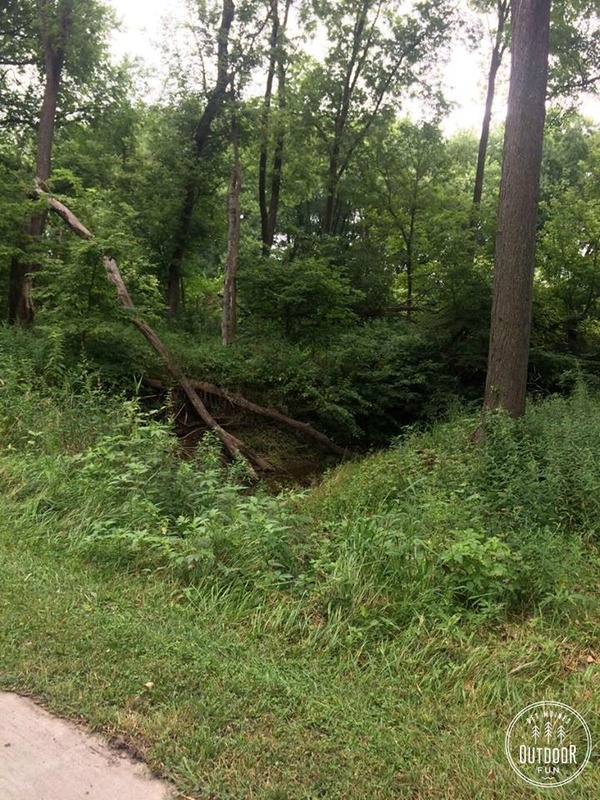 Roughly 1/4 mile from the parking lot and with a paved trail nearby. 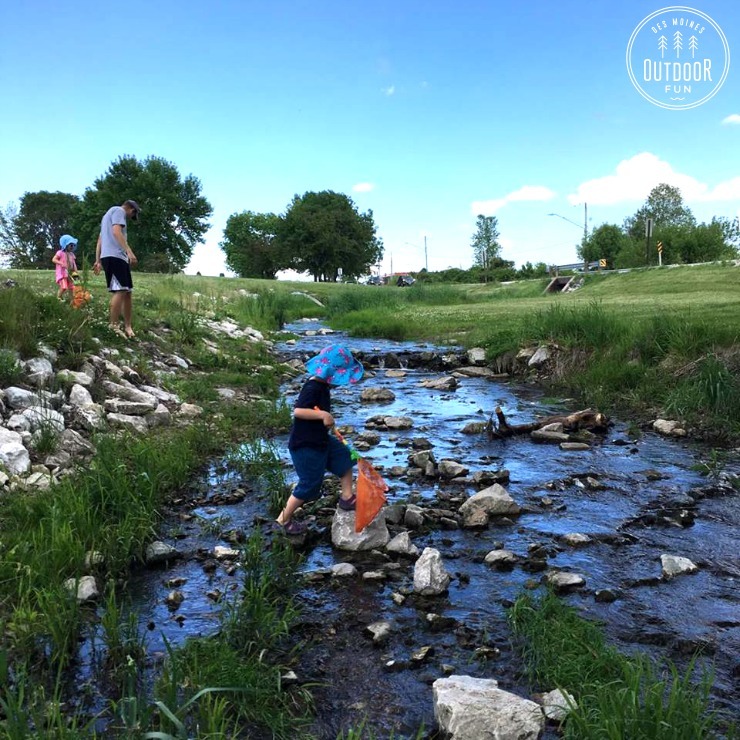 There is a small stream attached to the natural playscape, and then a larger stream with multiple access points about .5″ from the natural playscape parking lot, right along the Hickory Ridge Trail (marked). 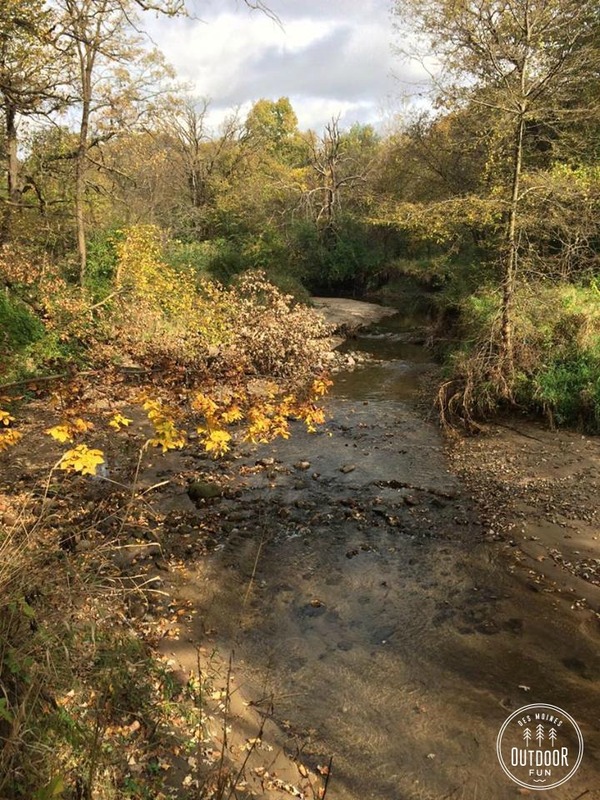 There is access to a wider/larger portion of the creek further along the trail towards shelter #5. 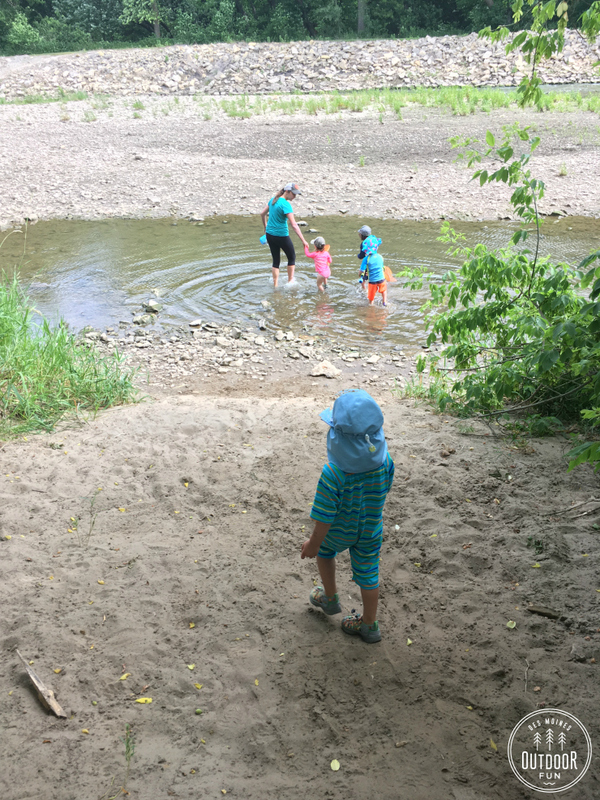 ” Just to the east of the exercise bars, there is a dirt trail down to the concreted area of the creek.” – shared by a reader! 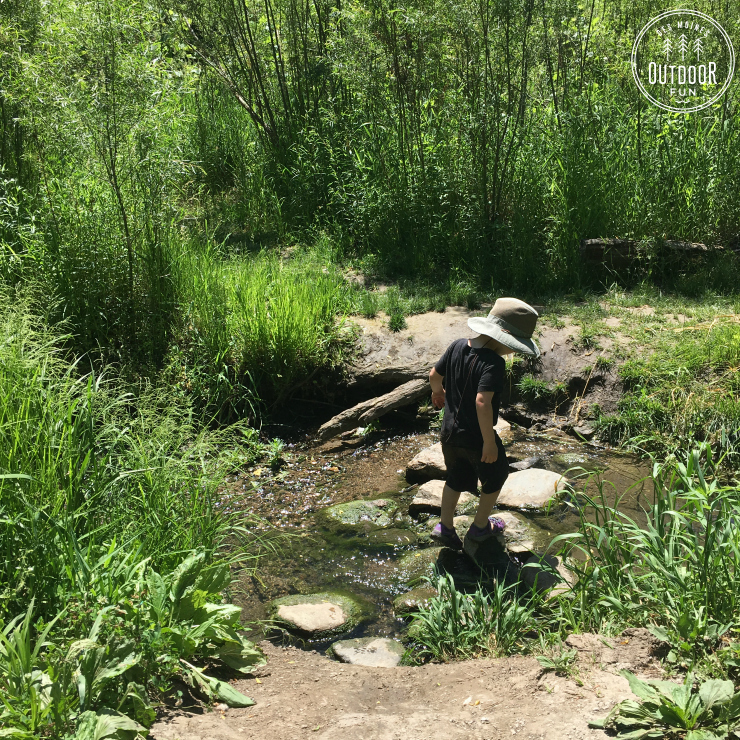 One of the most well known spots in the area, there are several fords across the road with shallow water, in addition to a winding creek with beautiful views. 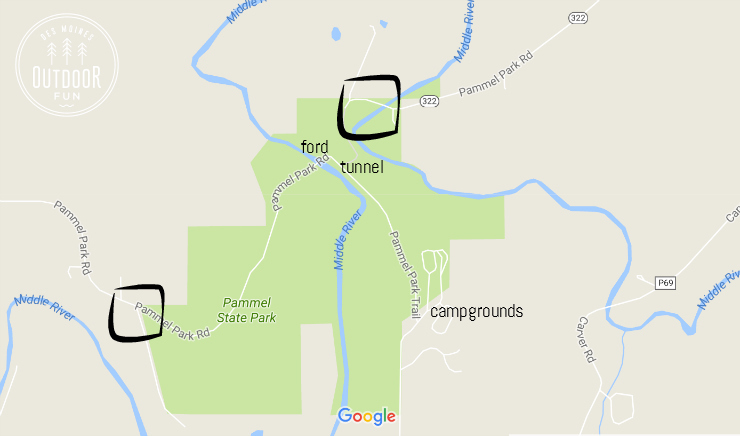 The main canyon road is closed for the foreseeable future but I have specific instructions for where you can park and how to get to the water in this blog post. 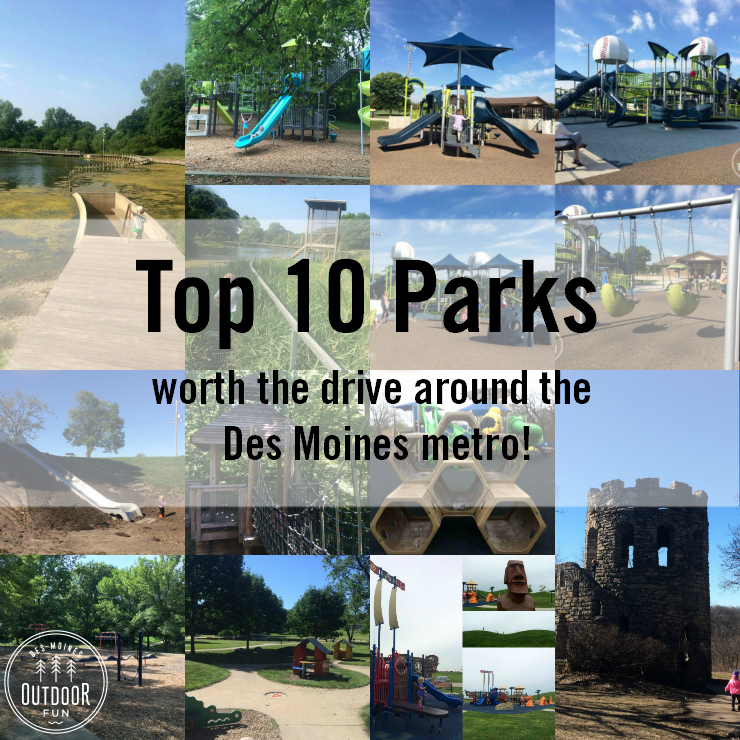 This park is very busy and popular, so don’t expect to have it to yourself! 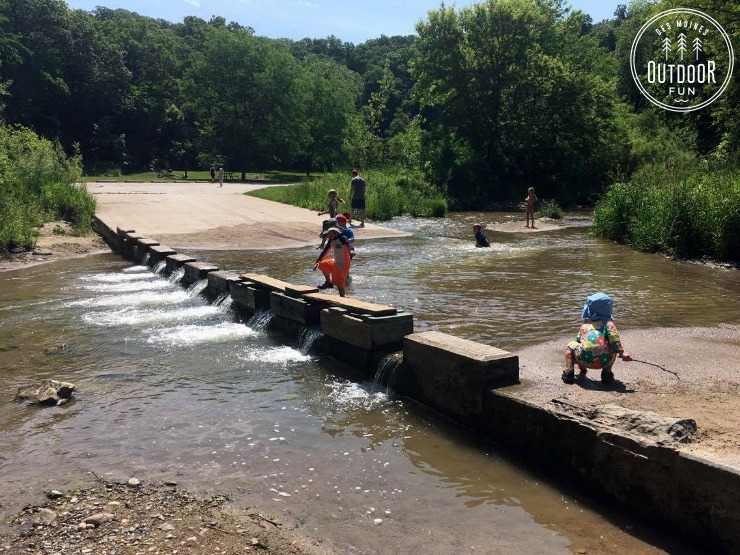 Another popular spot, there are concrete steps down into the water at two separate access points. 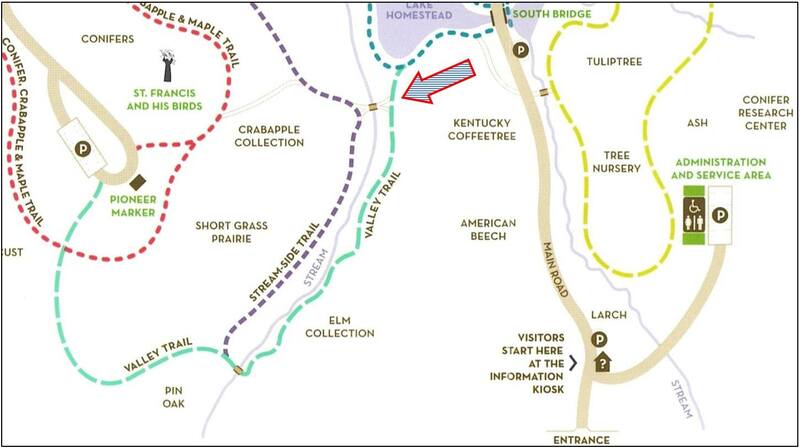 My favorite is shown below on the maps – it is visible from the campground’s parking lot or about a mile’s walk along the Devotie Trail from the main parking lot. 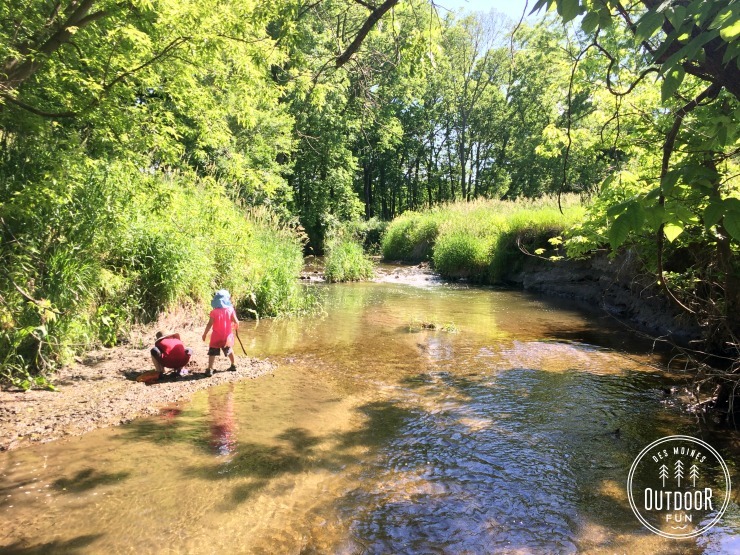 There were relatively deep spots when we visited, but no fast currents. 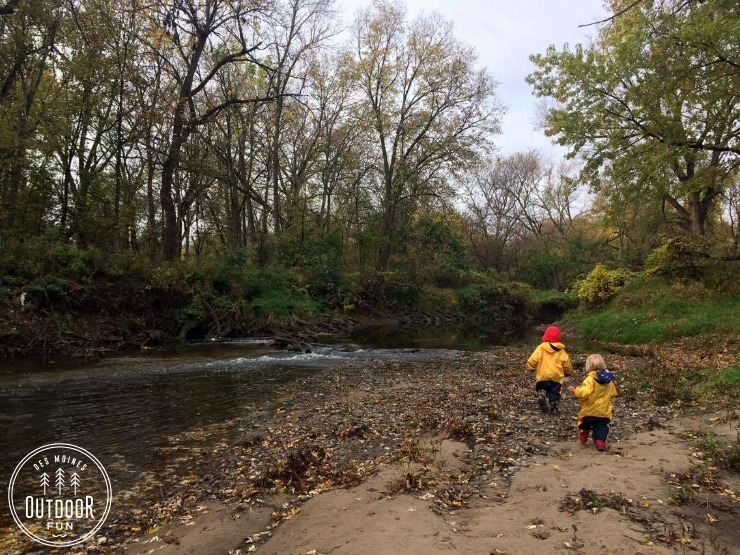 We haven’t visited this spot yet, but a friend said it had easy creek access near the playground. 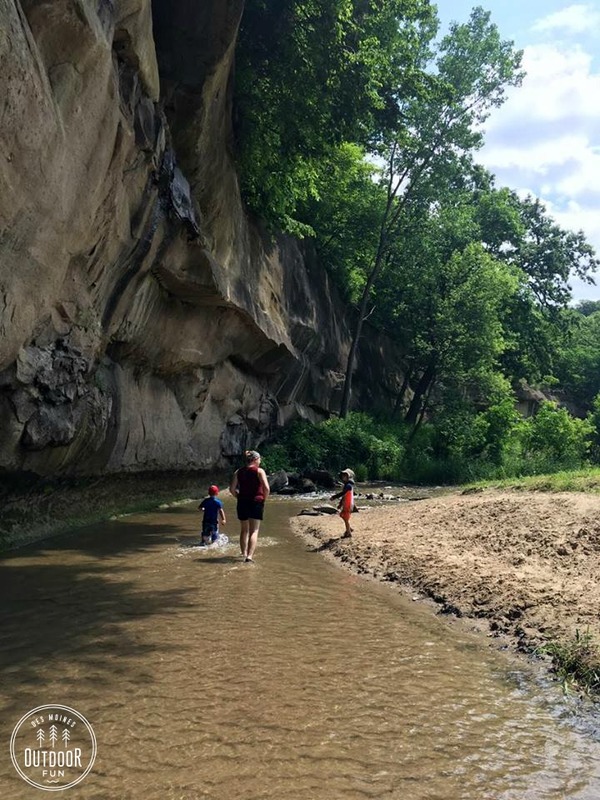 Check out these cool fossils someone found in this creek! Walking from the playground, turn right and go past the climbing trees. 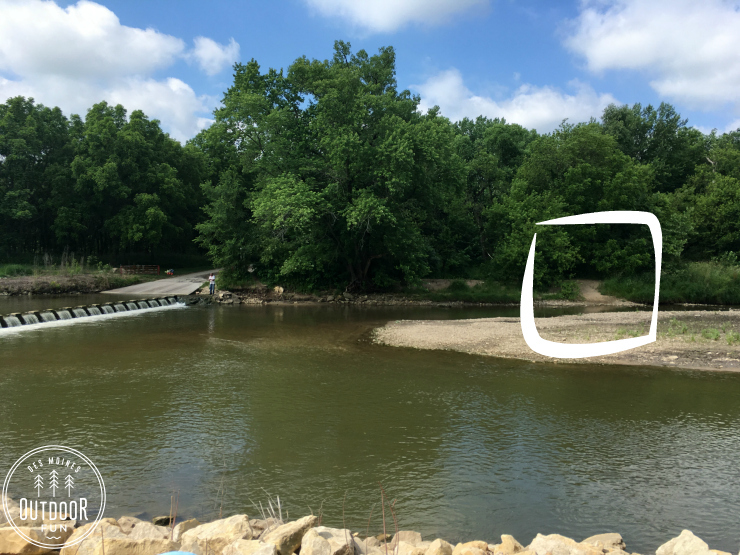 After roughly 1/4 of a mile, you’ll see a bridge and a sign for “Little Walnut Creek”, and there is an easy path down to the creek nearby. 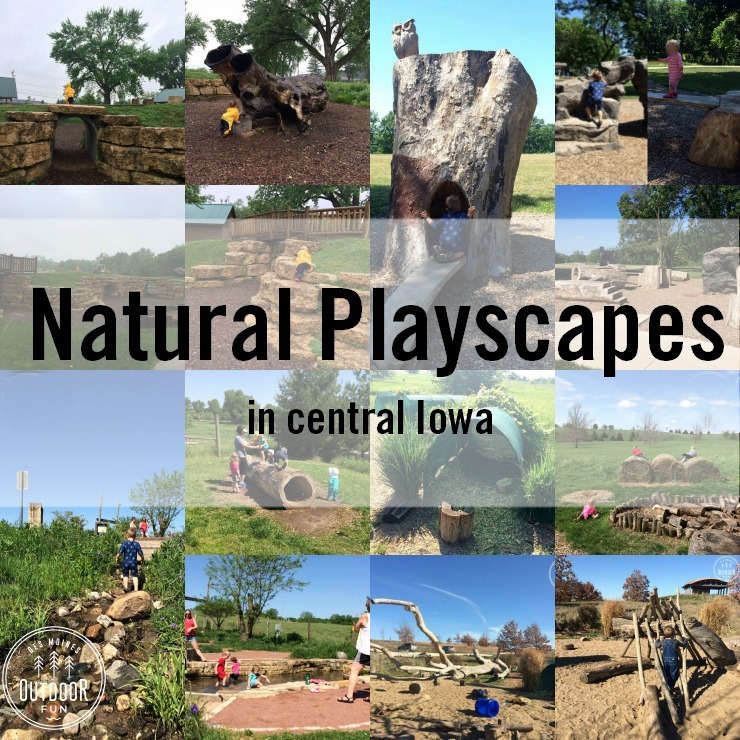 While you can see the creek closer back behind the playground, proceed with caution because the brush is full of painful pricker-bushes. 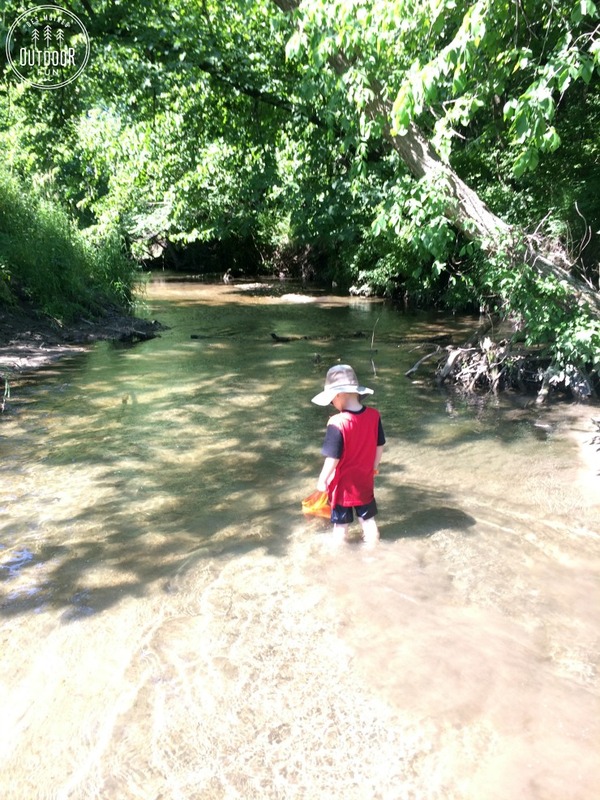 Long, shallow rocky creek with multiple access points, visible from the playground and parking lots. Advertised as having a waterfall, but don’t blink or you’ll miss it! 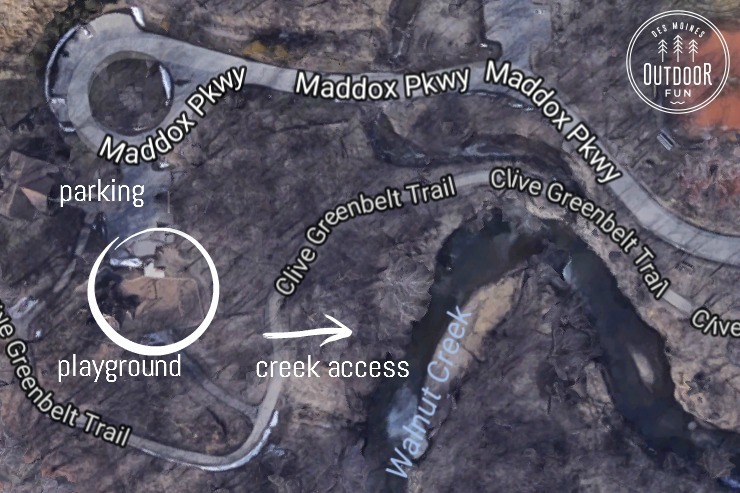 Creek access is roughly a mile from the parking lot, along a paved path, down a dirt path with lots of wooden steps, and through brush. A large ford crosses the river, leaving a shallow place to play in low water with a shallow creek side below the ford. Visible from the parking lot near the ford; we walked across and then walked down (shown below). 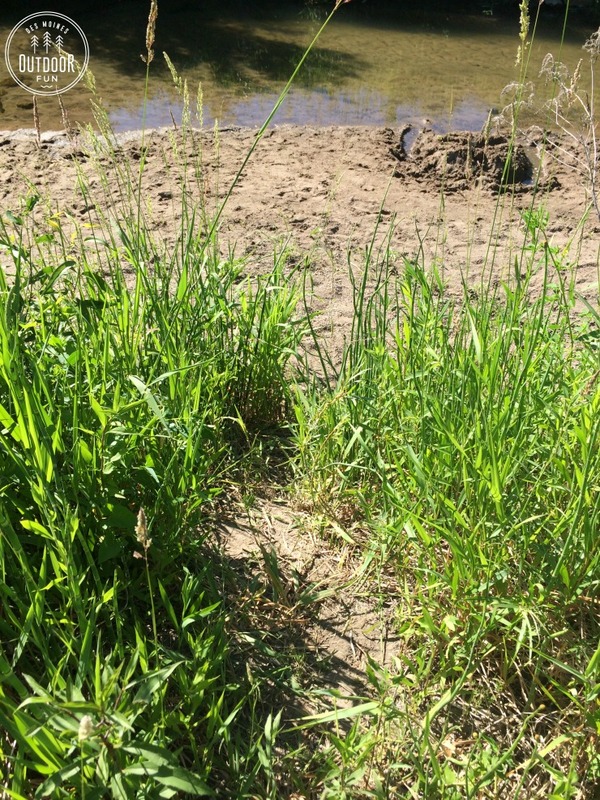 It is *very* dangerous directly below the ford, the currents can trap people. 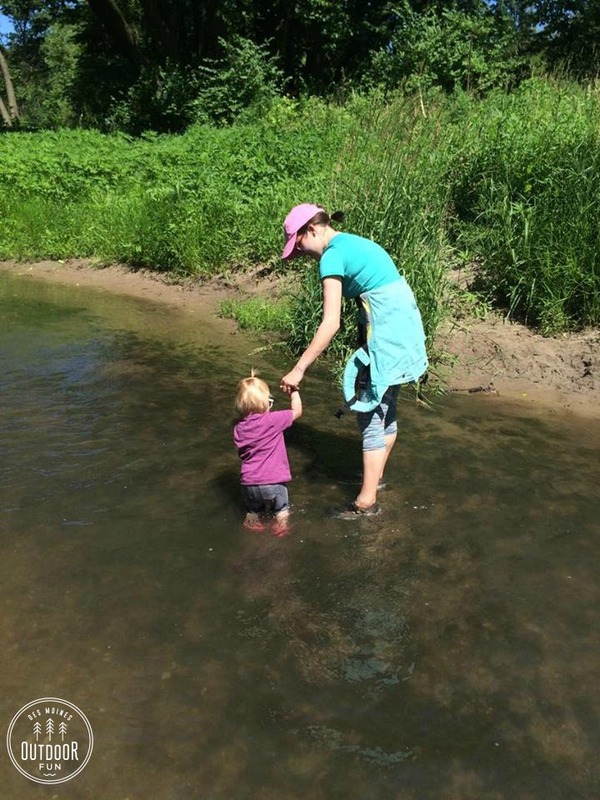 The opposite of the river has a faster current and is deeper. 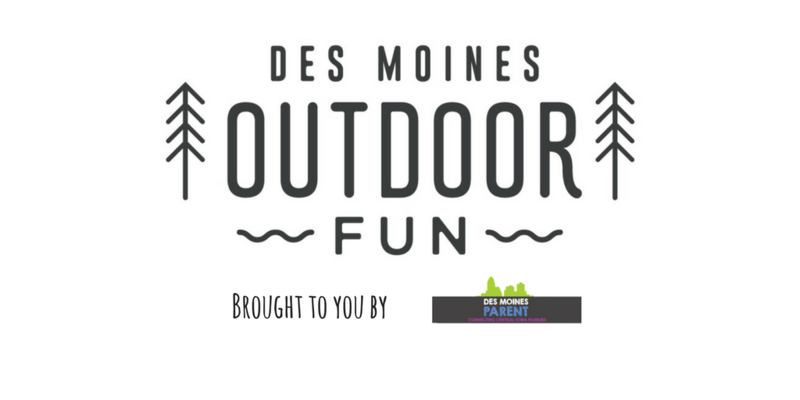 Glow Wild 2017 at Jester Park!